On June 7, 1878 (Meiji 11) Tokyo’s famed Shintomiza Theater is re-opened. 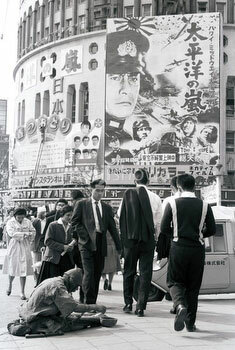 After the re-opneing, the theater modernized both Japanese theater and kabuki and played a major role in the country’s entertainment history. 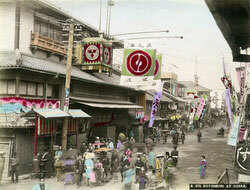 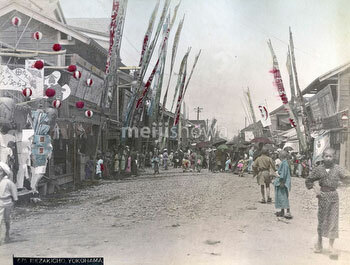 Kabuki had been banned to Asakusa, on the outskirts of old Edo, during the last spasms of Tokugawa rule. 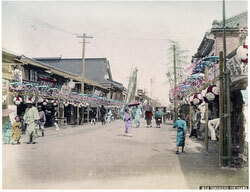 When the Meiji Period began and old laws and customs were thrown by the wayside, the ambitious Kanya had been the first theater owner to move back into the center of the city. 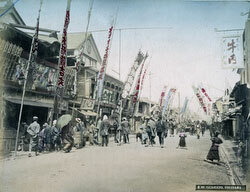 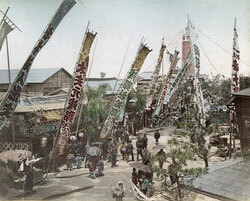 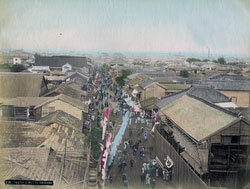 The first Shintomiza burnt down in 1876 (Meiji 9) when a large fire ravaged through the Kyobashi district. 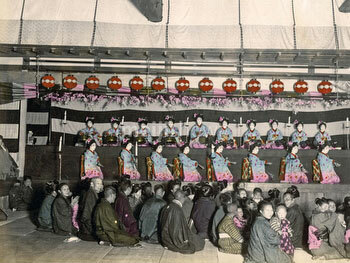 The theater was re-opened on June 7, 1878 (Meiji 11) with many of the foreign nationals who lived in Tokyo attending the ceremony. 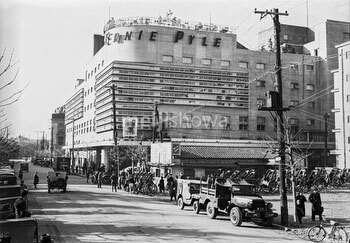 The new theater featured chairs and gas lamps and was considered to be extremely modern. 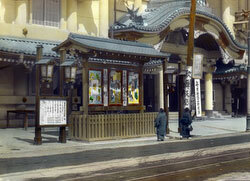 Shintomiza’s tragic end came on September 1, 1923 (Taisho 12), when the Great Kanto Earthquake destroyed the theater. It was never rebuilt and only an unimpressive plaque reminds of the spot’s illustrious history. On the theater’s location now stands the Kyobashi Tax Office.